Twenty twelve. One for the books. Although 2011 was the year that gave us Eddy, 2012 was the year that we found our new rhythm. The year that our hearts grew bigger than we knew possible. The year that Lucy and I both grew a handful of gray hairs. 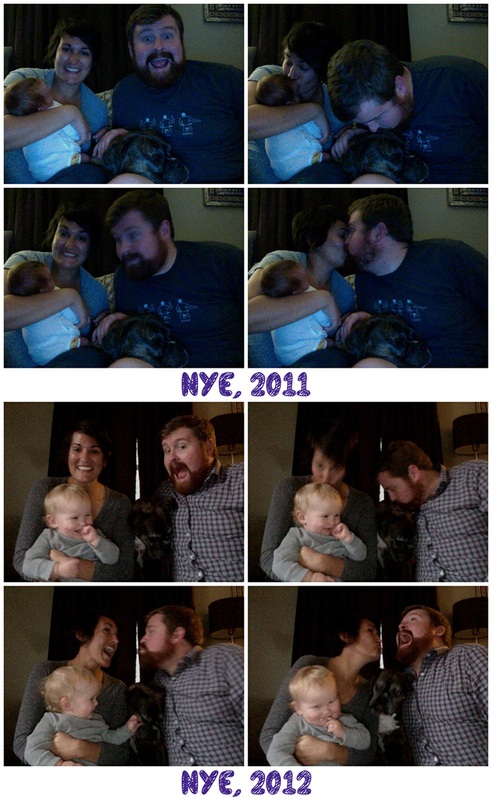 The year that I fell more in love with this family, this husband, this life of mine. I love that this is the time of year that we spread words of cheer to strangers and grocery store employees but what I love the most is when the phrase shifts to Happy New Year. There is a lot of promise in that little statement. I've had years that I was so happy to see vanish in the rear view that each time someone told me those words, I clung to them with the tightest of grips. Yes, it's got to be better than the last. I always wonder if that's what my words are doing for someone else. In wishing Happy New Year, you may also just be saying Cheers! And here's hoping this year is just as good. It's just the turn of a page on the calendar, the stroke of midnight. Just another day. But perhaps the start of something big. I'm still cooking up a good resolution. I have found some inspiration on other blogs so I know that as a family, we will settle on something great. Happy New Year. Or Happy New Year. Take those words as you need them. Before tonight, you should learn all the lyrics to this song to impress your friends. Here's my favorite version. A right gude-willy waught? If you say so.